After Goa Chief Minister Manohar Parrrikar’s demise, BJP loses one of its stalwart politicians. However, hours after Parrikar’s death, political uncertainty can be witnessed in Goa as Congress staked claim to form a government in Goa. 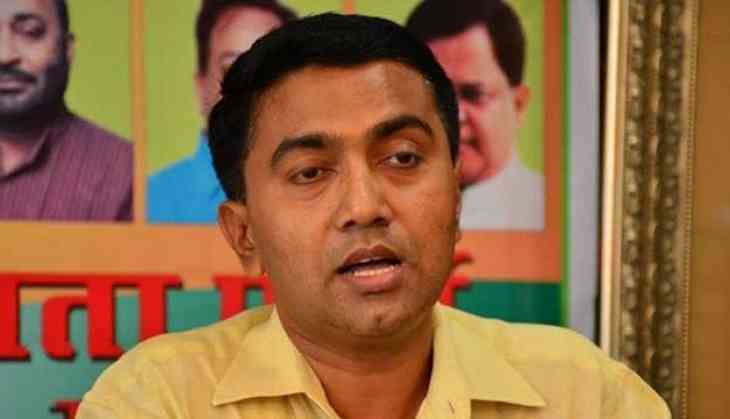 BJP’s hunt for new Goa CM is on and Goa Speaker Pramod Sawant is said to be the first choice for the post. The decision over next Goa Chief Minister will be out by the evening said Goa BJP president. Dr. Pramod Sawant BJP leader and the Speaker of the Goa Legislative Assembly. Pramod Sawant represents the Sanquelim constituency in the Goa Legislative Assembly. Sawant holds a BAMS degree and is an Ayurveda practitioner by profession. Pramod Sawant’s wife Sulakshana is a teacher by profession and leader of the Bharatiya Janata Party and currently the President of the Goa unit of the BJP Mahila Morcha. After Pramod Sawant, Vishwajit Rane is the front-runner for Goa CM post. However, allies have not endorsed the name yet. Following the death of Parrikar on Sunday a political crisis has developed as BJP-led alliance could not reach a consensus over the next CM. According to media reports, the independent MLAs, whose support is necessary for the BJP to remain in power, are not in favour of choosing Sawant to the top post. Where BJP has 12 MLAs in the 36-member State Legislative Assembly, Congress has 14 MLAs. Being the largest party in the state, Congress leader Chandrakant Kavlekar met Governor Mridula Sinha on Monday afternoon to stake claim to form a government. Meanwhile, confident Goa BJP chief Vinay Tendulkar said the announcement about the new CM will be made shortly.